Welcome to the Largest Long Island Limo Bus & Party Bus Transportation Company in Metro New York. We have an Exclusive line of Party Bus & Limo Buses in Nassau County and Suffolk County, NY. Although we are Long Island based, we do also service Brooklyn-Kings County, Queens County, Westchester County and Manhattan, NY. When scheduling a Party Bus for an event please let our dispatcher know how many passengers you are trying to accommodate. We carry many assorted sizes of limo & party buses for rent. So you want to take a trip to a Night Club or maybe it’s your Wedding Day? Well then, have you considered booking a party bus to get there? You COULD get a small limousine but wouldn’t you rather have ALL of your Friends and Family in one Limo Bus ? Don’t you want to be able to party like its 1999? Relax, listen to the music or watch some TV knowing that our experienced chauffeur will get you there safe and in style. Are you planning a Bachelorette Party, Wine Tour, or maybe a Brewery Tour? Asking all your friends to a Baseball Game or possibly tailgating at a Football Game? Well then, we have the most stylish party buses to accommodate you. All of our buses come with soda, water and mixers. Bluetooth radio is also standard in all of our vehicles. No more bringing your auxiliary cords. Some of our fleet even have bathrooms on board too for those of you who want a lavatory. In conclusion make YOUR trip an exciting, memorable one. Take a memorable trip with a party bus! Do not settle for less and do not waste your time. Call the innovators and not the imitators. Get this great party bus company to give you a trip to remember for a lifetime. Call (516)-LIMO-BUS / (516)-546-6287 any time. Interested in Party Bus Transportation? 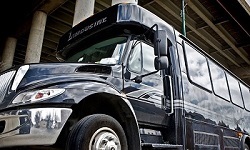 Let Long Island Limo Bus get you there! We have the BEST & Largest Line of Party Buses in all of Long Island, NY. Here you will find exactly what you seek. If your looking for a small Limousine Bus, Large Limo Bus or a Coach Bus, our Company carries them all! Since we are the Largest Limo Bus Company on the South Shore, our Limo Buses are Booked 6-8 weeks in advance. If you are looking to schedule for a Prom, Wedding, Sweet 16, Bachelorette Party, Wine Tour or maybe a Beer Tour look no further. Our extensive fleet of Buses are all lined up in one (1) Location. Finally, you’ll find our fleet as great as our staff. All Chauffeurs are CDL, 19-A Certified and all Drivers are randomly drug tested by law. In addition to the spectacular transportation service we offer. Our Stadium Tours, Vineyard Tours, Jr & Sr Proms and Sight Seeing Tours is by far the best. being in business for over 14 years, we know that our customers want a comfortable ride at a comfortable rate. That’s why when you choose our Limo Bus company you are getting the very best transportation and an experienced driver/chauffeur. Our divers are educated and have been on the road for over 20 years. They are professional and courteous and most importantly they care about their employment and there passengers. They go above and beyond and will treat you like family. Just be sure to treat them with respect. They are the captain of the ship. For further information on renting one of our Limo Buses please contact us at (516)-LIMO-BUS / (516)-546-6287. Our Rental Company of Party Buses, Coach Buses, Limo Buses, Shuttle Buses and Tour Buses are ready for Transportation. We have absolutely everything for you Long Island Party Bus Transportation desire. We cater to all Groups and Sizes of Passengers and offer Coach Bus service to Mohegan Sun Casino, Foxwoods Casino, and all of the Casinos in Atlantic City, NJ. We also offer transportation to and from NYC, The Long Island Vineyards, Group Sporting Events, Group Beer Tours, Wedding Shuttle Service and our most popular service during Prom Season, Prom Limo Bus Service for JR & SR Graduation Parties. In addition our fleet is maintained, washed, detailed and restocked with an assortment of delicious beverages with cold ice for your departure. Their are many party buses to choose from and all Party Buses are different sizes. What really counts is the amount of passengers we are carrying on the Limo Bus so make sure when you are inuring about a Fleet Rental Party Bus you tell our dispatcher the count. Remember YOUR out to have an amazing time with friends and/or family and we are responsible for you. Please act accordingly when you are out and about. We want you to have a Great Time but Safety is always First! In-conclusion try our Limo & Party Bus Service once and you’ll call us time and time again. We are the Originators - Beware of the Imitators. Arrive Alive - Don't Drink and Drive. Call (516)-LIMO-BUS / (516)-546-6287 Today ! !